Just how much fun can you have with ONE gun? That was the question AccurateShooter Forum regular Danny Reever hoped to answer with his latest gun project. Danny wanted to get back to the basics -- with one rifle that could excel at numerous disciplines, from F-Class to Ground Hog matches. He wanted a rifle that was versatile and reliable, one that could be used for hunting as well as target shooting. For his Do-It-All rifle, Danny chose a high-tech tactical rig with top-of-the-line components: Bartlein 5R barrel, Manners carbon-reinforced stock, and Surgeon action. So far, Danny's project has been a success -- the Do-It-All .308 has proven as accurate as it is versatile. That should be no surprise, as G.A. Precision guarantees 3/8 MOA accuracy with this impressive bolt-gun. Over the course of the 2009 shooting season I found myself suffering more and more from waning interest in my preferred shooting sport of Ground Hog or Varmint matches, and shooting in general. Some time ago, I likewise became somewhat disenchanted with Benchrest for Score competition. I’m not knocking either the Varmint game or the Score BR game -- they're both great disciplines. I have great respect for those who shoot these disciplines (as all others), and, along the way, I have made many friends among both the Ground Hog shooters and the Score shooters. However, the repetition of shooting the same types of matches (with pretty much the same results) all of the time had put me into what I can best describe as a "Ho Hum Funk". I needed to challenge myself more, but had no idea how to do that. In one of the many shooting forums I peruse, I found a quote that went something like this: "Beware the man with one rifle, because he probably knows how to use it". That got me to thinking about way back when I was a boy with just one rifle. I used it for everything -- hunting, target shooting, club matches, you name it. After thinking about those "good old days", you could say I had an epiphany. Why not use one rifle for all the types of shooting I do these days: Varmint/Ground Hog matches, hunting, 600-yard benchrest, F-Class, or any other discipline I might want to try? Having one primary rifle could save me time and money, while making life less complicated. Load development and training would be simplified. 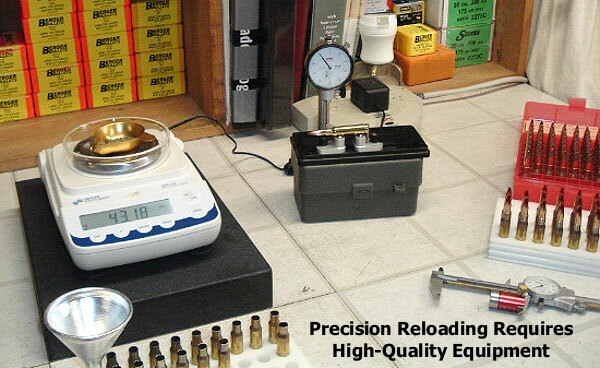 I wouldn't have to maintain a vast inventory of different reloading components for a multitude of rifles. Plus I figured it might just be fun to use the same rifle for many types of shooting, like I did in my younger days. OK, right now you are saying, "Whoa -- to be truly competitive in any of those sports you need a dedicated rifle, not some do-it-all stick". Well, yes, you are right to a certain extent, but what if my main goal was not finishing first, but rather having fun while challenging myself? Isn't that why we compete in the first place -- to push ones own limits and see what happens? Now I'm going to lay some Zen on you: "It's not about the destination, it's about the journey". What the heck does he mean by that you may ask? Well, the process of researching and selecting a rifle and its components -- the dreaming, building, tinkering, and optimizing -- is the journey. A journey that encompasses component choice, gun assembly, load development, chrono work, and learning how to get the maximum performance out of a new firearm. Without question, that building/learning process is rewarding. For some of us, in fact, that "journey towards enlightenment" may be as rewarding as any other aspect of the shooting hobby. Having decided to proceed with the "one rifle" project, I then had to choose what kind of gun would best fit the bill for everything. There were many factors to consider. I decided the rifle had to be of a manageable weight, rugged enough to withstand the rigors of field or hunting use, and accurate enough to give the "competition-only" rifles a run for their money. That meant no 30-inch super-heavy barrels, but rather 22-24 inches max. The rifle had to be a repeater for quick follow-up shots. The gun should have a safety and a reasonable "real world" trigger pull measured in pounds, not ounces. And I knew I didn't want a super-tight benchrest action or a chamber cut to bare minimum reamer specs. And last but not least, the gun needed to be chambered in a caliber that could do it all. These criteria definitely ruled out my competition-only, Hart-actioned 6BR, and pretty much everything else I owned to boot. I decided that the only type of rifle that would match all of my criteria was a rifle of the "Tactical" persuasion. I began to read everything available, and frequent all the tactical-type websites. After much research, weighing the many options available, I finally decided on what I considered to be THE rifle for me -- a G.A. Precision "Hospitaller" chambered in the venerable .308 Winchester. The GAP Hospitaller is no ordinary tactical rifle. For this gun, G.A. Precision guarantees "3/8 MOA [accuracy] with match grade ammo". Why does GAP call its rifle the "Hospitaller"? CLICK HERE to find out. So I had chosen a rifle, but I had a dilemma. GA Precision makes some pretty popular rifles so the wait time on a build could end up being a year! Being the impatient sort, I began looking for a used one. Well, there were some used GAPs floating around, but few if any Hospitallers. Then Lady Luck stepped in. I met a nice guy who had some different tactical-type rifles to compare. He invited me to visit and try out his rifles to help in my decision. Well, to make a long story short he had a Hospitaller with only 248 rounds down the tube, and told me he would be willing to sell it. Needless to say I jumped on the offer. Thanks again William, and no, you can't have it back! For those of you not familiar with the GAP Hospitaller, a rifle guaranteed to shoot 3/8 MOA or better, here's a summary listing all the components and the key specs. The gun, before optics, weighed 12.8 pounds. Surgeon stainless Model 591 action with integral recoil lug and integral +20 MOA Picatinny rail. Solid one piece bolt, and side bolt release. Oversized KMW bolt knob. Badger Ordnance M5 detachable magazine system which accepts both 5- and 10-round AICS magazines. One 5-round magazine included with the rifle. Trigger tuned to a crisp 2.5 pounds. Bartlein 24" inch fluted stainless 5R barrel, 1:11" twist. 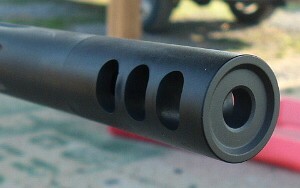 Bartlein M24/M40 contour: 1.20" x 3" straight, .900" muzzle. 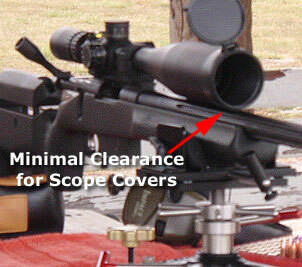 Chambered in .308 Winchester (GAP offers other calibers available by special request). Manners T4A stock, with Terry Cross KMW cheek piece, 1 stud, and 4 flush cups. Action pillar-bedded with 7075 pillars and Marine Tex. Pachmayer Decelerator recoil pad, installed at 13.5 inches. Cerakote finish in matte black. (GAP also offers Milspec OD, OD, Tan). COMMENT: In addition to the standard Hospitaller hardware, this particular rifle had an adjustable length-of-pull buttstock and a Badger Thruster muzzle brake. Never owning a brake before, I was interested to see how much felt recoil it would eliminate. It did reduce recoil substantially -- making me a believer. Still, I'm happy that the brake can be removed for shooting F-Class and for hunting. 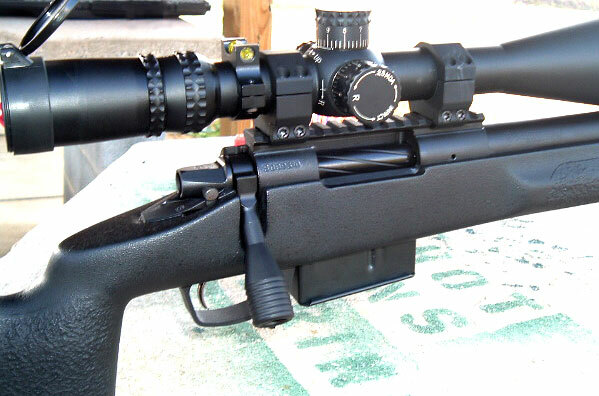 Two different Nightforce NXS scopes are used on this rifle. The first is a 12-42x56mm model with NP2DD for load development and target work. The second is a Nightforce 5.5-22x56mm with Mildots for ranging. The 5.5-22 is better suited for field work. The 30mm rings are a very nice 0.97" set from Glen Seekins. You can see in the photos that the highest rings that Seekins offers are barely high enough to allow use of the Butler Creek lens covers. So, if you're contemplating a Surgeon action build with a 56mm objective scope, check your clearances. Before optics, the rifle weighed 12.8 pounds (with magazine). With the 12-42x56 Nightforce NXS, Seekins rings, and Butler Creek covers in place, the Hospitaller tipped the scale at 15 pounds, 1.5 ounces. That's a bit heavy to hump around, but still manageable. This rifle speaks "heavy duty" all the way from the beefy Surgeon 591 action to the fluted Bartlein 1:11 twist 5R barrel. How much weight does the fluting save? Frank at Bartlein calculated that, with the Hospitaller's #14 M24/M40 contour, on a 24" barrel, fluting trims the weight by 12 ounces. That's not a lot, but every little bit helps -- not to mention it looks pretty darn cool also. Now that I had the rifle, I had to determine what to feed the wee beastie. The Sierra 175gr MatchKing/Varget combo is sort of the Holy Grail of tactical shooters, so this was my first option. I had some 175 SMKs along with Varget, new Lapua brass, and CCI BR2s and CCI 250s for primers. The AI magazine of the Hospitaller has a maximum cartridge overall length (COAL) of 2.900". After checking the distance to the lands with my Hornady seating depth tool (formerly Stoney Point), this max mag-length COAL allowed me to seat bullets up to .012" into the lands. I headed out to the range, armed with my chronograph, to see if I could find a good load with Varget and the 175 SMKs. I chronographed loads from 42.0-44.0 grains of Varget, using both BR2 and CCI 250 primers. (My past experience loading for .308s, suggested this 42.0-44.0 range should deliver good accuracy.) For the first outing however I decided to seat the bullets just touching and at a later date play with seating depth a bit more to fine-tune my loads. I settled on 43.0 grains of Varget and CCI 250s. This load gave me an average velocity of 2657 fps with an extreme spread (ES) of 10 fps and a standard deviation (SD) of 4. Those ES/SD numbers were for a 10-shot chrono string. [Editor: Those are impressively low numbers, which should translate to very tight vertical at long range.] I might mention that loaded round runout on my Sinclair concentricity checker was .001" or even less. 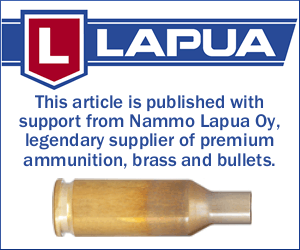 You gotta love that Lapua brass! My S.O.P. for new brass is to expand the necks using a Sinclair expander die and mandrel, then to run each piece up into a Redding Competition bushing die with a bushing selected by measuring my loaded neck diameter. In this case loaded neck diameter being .33775, I used a .335 bushing. I then chamfer/de-burr the case mouth using a Lyman 22° VLD chamfering tool and Forster de-burring tool. Then I tumble the brass in a Lyman 1200 Turbo tumbler to remove neck sizing lube and any brass shavings that may be left. I do all this even with new brass just to make sure everything is as straight as I can get it before loading for the first time. I leave the primer pockets and flash holes alone because I think Lapua brass is normally near perfect to begin with. I figure I might do more harm than good if I tried to uniform the flash holes or primer pockets. I tested my Do-It-All .308 at the Shippensburg Fish & Game Assn. 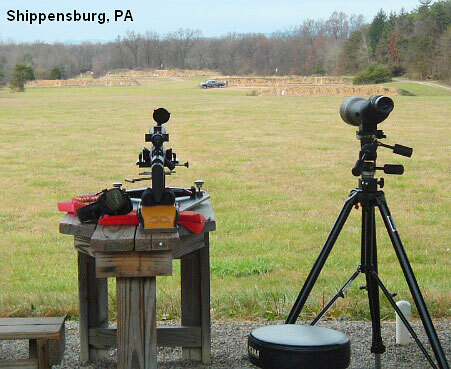 Range in Pennsylvania. Conditions were good enough that I could see my 30-cal bullet holes all the way out to 840 yards, the maximum distance at this Range. (I could see holes with BOTH both my 12-42x56mm Nightforce and my 100mm Pentax PF100ED Spotting scope.) I shot the rifle at 100 yards to get a zero, then at 200/300/400/500 meters and finally at 840 yards. How did it shoot? Zeroing at 100 yards, 5-shot groups were nice tight clusters, measuring in the threes. At 200m my group was a 1.060". At 300m things began to get a bit more interesting with the wind and my group ended up a 1.930" but that didn't bother me since Shippensburg has a nasty hidden swale between 200 and 300 meters which does crazy things to the wind. At 400 meters my group was a 2.220" with number five ruining what was a great sub-2" 4-shot group when a wind reversal got me. At 500 meters the Beast shot an impressive 2.520" 5-shot group, good enough to rival a lot of bench guns in the Ground Hog Varmint matches. Moving to the 840-yard line I had high expectations after shooting that nice 500-meter group. The winds at 840 were really getting squirrelly so I only shot two groups. The first was 7.51" but the second during a letup was a nice 4.19". That definitely was a keeper and I have it on my reloading room wall! I consider the Hospitaller to be a fine rifle that, so far, has met all my expectations. As winter has arrived here in Pennsylvania with a vengeance I'll have to be satisfied with more reading and planning, while I wait for the Spring thaw. But that's OK. Remember my Zen mantra: "It's not about the destination, it's about the journey!" Hospitaller seems a very odd name for a rifle. Where did that name come from? Well, G.A. Precision has previously drawn from the history of the Crusades to name other products, such as its "Templar" custom action. GAP's complete bolt gun built on a Templar action is called the "Crusader". For this Surgeon actioned-rifle, GAP chose the name "Hospitaller". 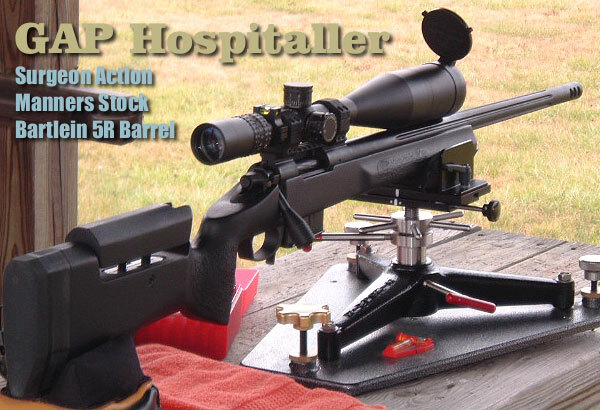 You may associate "hospital" with "Surgeon" and assume that explains the rifle name. Well that is part of the logic behind the name, but there is also an important historical connection. 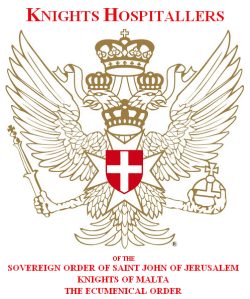 The Knights Hospitallers Christian Order was originally founded in 1080 AD to operate a Jerusalem hospital providing care for poor, sick or injured pilgrims. After the First Crusade's conquest of Jerusalem in 1099, the Hospitallers became a religious/military Order charged with the defense of the Holy Land. In the 1100s, The Hospitallers and the Knights Templar became the most powerful Christian groups in the area. Initially Hospitaller Knights wore a black surcoat with a white cross. Later this changed to a red surcoat with a white cross -- the Hospitaller "uniform" most commonly depicted in illustrations. Following the conquest of the Holy Land by Islamic forces, the Knights Hospitallers moved to the isle of Rhodes. During this period Hospitallers were also known as the "Knights of Rhodes". After the Knights Templar were dissolved in 1312, much of the Templars' property was given to the Hospitallers. The Knights Hospitallers officially became the Knights of Malta in 1530, when Charles V of Spain, as King of Sicily, gave Malta to the Hospitallers as a perpetual fiefdom. In return, the Order paid Spain an annual fee of one Maltese falcon. Hospitallers distinguished themselves in combat many times. 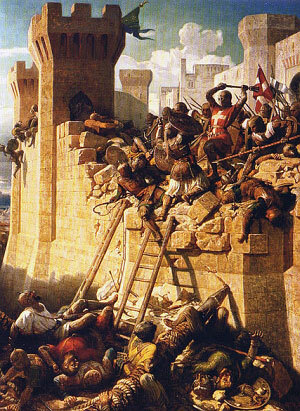 The Knights' most famous battle was the Great Siege of Malta in 1565. A force of 700 Knights Hospitallers (and 8,000 foot soldiers) defeated an invasion force of 40,000 Turks sent by Sultan Suleiman I, leader of the Ottoman Empire. Though they are no longer a military force, the Knights Hospitallers still exist today as a worldwide Christian Order, now returned to its original mission of helping the poor, the sick, and the needy. Topics: G.A. Precision, GAP, Danny Reever, Tom Manners, Manners Composite Stocks, Bartlein Barrels, 5R, 5R Rifling, Cut Rifling, Surgeon Action, Surgeon, Crusader, Hospitaller, F-Class, Sierra, Varget, MatchKings, F-TR, F T/R, Farquharson, .308, 7.62x51, Tactical, Target Rifle, Palma, Score, Group, Agg, Aggregate, Benchrest, Light Gun, Nightforce, Reloading, Jewell, Benchrest, BR, Bench Rest, magazine, competition, rifle accuracy, Wind, BC, Ballistics, Hodgdon Powder, Varget, 4895, H4895, Sierra, MatchKing, Berger, Berger VLD, Competition Shooting, Stocks, stainless barrel, reloading, powder, case forming, neck-turning, Lapua Brass, bullets, precision.